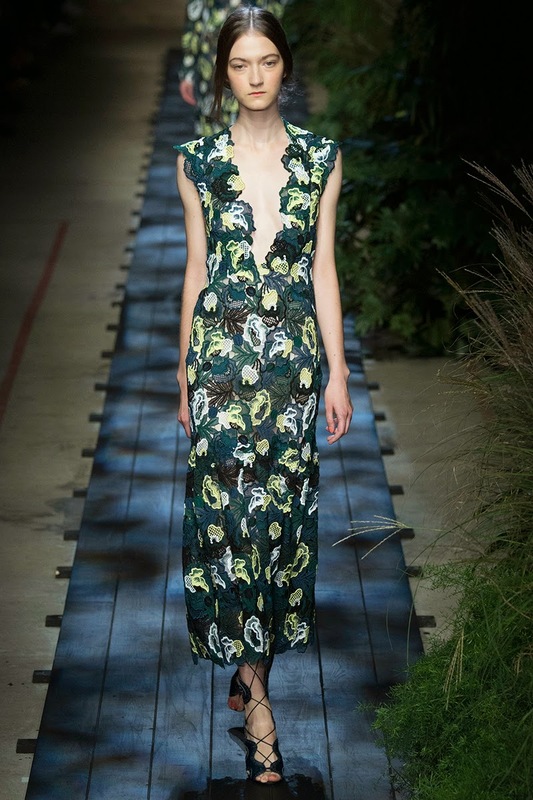 Erdem, so elegant, so whimsical,so delicate. As if you were walking around in an enchanted forest only wearing the leaves and flowers that surround you. Showing diversity in this collection by showing beautiful dresses that just hang and float around the body and then having the more tailored and classic looks. Going from light to dark and adding lace and chiffon and cottons that really tell the story and bring you into the world of Erdem.